We thought you’d enjoy this post written by Yolanda Foster on her blog. 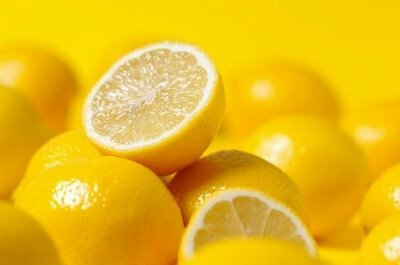 Though it may be hard to believe given our current weather conditions, spring is just around the corner and our summer entertaining is about to go full-swing, so read Yolanda’s post. We think you’ll enjoy it. Of course, we’re all about entertaining and living a luxury lifestyle. As a professional in the bespoke tabletop business, I couldn’t have said this better. Incidentally, if you haven’t been to my Facebook page, I truly try to bring you things and places of exquisite beauty. Though few can live the luxury lifestyle, it’s so nice to be taken to places that evoke beauty and serenity. That’s what I so wish to share with you there. 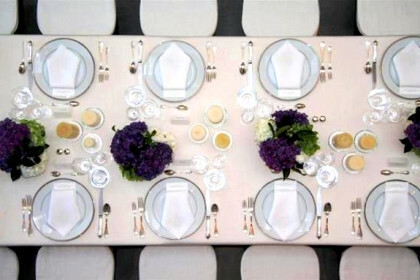 Enjoy the article on Hosting the perfect dinner party. May your dinner table and guest list be a perfect picture of beauty and joy! p.s. Yolanda does the Birkin well. Categories: News Updates, Real Housewives of Beverly Hills | Tags: #RHOBH, Lady Brooks, Real Housewives of Beverly Hills, sulia.com, Yolanda Foster, Yolanda Foster Hosting the Perfect Dinner Party, Yolanda Foster's Master Cleanse | Permalink. Yolanda Foster recently left her treatment for Lyme Disease in Florida to meet up with her beautiful model daughter, Gigi Hadid, in New York City. The mother/daughter team are scouting and touring college options for her daughter in the city as she will be able to pursue her college career whilst also working in the New York model scene. Of course, we love the pic of Yolanda and Gigi, but we wanted to share this picture with you in our continuing effort to share the Birkin bag and the love affair we women have with the Birkin, especially those of us who refuse to carry “logoed” bags. It’s range of colours and it’s large size make it the perfect handbag for daytime use and, when coupled with the Baginizer, (available from our friend @janefinds at baginizer.com), it’s the perfect choice for every woman. Categories: Birkin, News Updates, Real Housewives of Beverly Hills | Tags: @janefinds, baginizer.com, Birkin Bags, Hermes Birkin, Lady Brooks, Lady Brooks blog, sulia.com, Yolanda Foster does Birkin well | Permalink. Ever since we watched the episode of “The Real Housewives of Beverly Hills” where Taylor Armstrong settled her lawsuit with Hermes Birkin bags and her engagement ring, rumours have been swirling that everything was fake. Then, not surprisingly, the follower told her to come clean and admit she knew they were fakes and Taylor said they were gifts and she never questioned their authenticity. That makes sense to me, actually. Categories: Birkin, News Updates, Real Housewives of Beverly Hills | Tags: #RHOBH, fake Birkin, Lady Brooks, Real Housewives of Beverly Hills, sulia.com, taylor armstrong, Taylor Armstrong's silver Birkin | Permalink. Since we’ve been talking about the Birkin bag, many have asked “are there any good fakes?” and the answer is, “yes”. Since you’re most likely not an “A”-List celebrity and under the constant scrutiny of an intrusive paparazzi, you might be able to pull having a fake off. Taylor Armstrong was apparently able to waltz around Beverly Hills with her fake Birkin, the truth only coming out when she turned them in for the settlement of a law suit, but it looked quite the real thing, didn’t it? So, we have done some serious scouting and, though there seem to be many sites, we found this source of fake Birkins to be most reliable. At these prices one can certainly afford to have a fake Birkin! We have it on good authority that several celebs shop this vendor and the vendor has very good reviews, however, we have no personal experience with them. For those of you who have purchased from them and reached out to us with your experience, thank you. Categories: Birkin, News Updates, Real Housewives of Atlanta, Real Housewives of Beverly Hills, Real Housewives of DC, Real Housewives of Disney, Real Housewives of Miami, Real Housewives of New Jersey, Real Housewives of New York, Real Housewives of Orange County | Tags: fake Birkins, Hermes Birkin replicas, Lady Brooks, Lady Brooks fake Birkins, replica Birkin, sulia.com, Taylor Armstrong fake Birkin, the fake Birkin, where to find a fake Birkin, where to find a fake Hermes Birkin, Where to get a replica Hermes Birkin, where to get replica Birkins | Permalink. The Birkin Bag, A Real Housewives Favourite. Most ordinary housewives can well-do without a Birkin bag, but aside from Adrienne Maloof & Gretchen Rossi who most likely sport their own handbags these days, most of the Real Housewives carry a variety of Birkins depending on the outfit they’re wearing. Lisa Vanderpump sporting one of her many Birkins. The Birkin bag, made by Hermes, is pricey. Its prices range from £6,000 to £100,000 ($9,000 to $150,000). Costs escalate according to the type of materials. The Birkin is available in the secondary market, starting at about $8,000. The bag also has a variety of hides such as calf leather, ostrich, crocodile, and lizard. One of the most expensive is saltwater crocodile skin. Bags with smaller scales cost more than those with larger scales. The bag is lined with goat-skin. The color of the interior matches the exterior. Prices for the Birkin bag depend on the color, hardware fixtures, and skin. Sizes are 25, 30, 35, and 40 centimeters. The 50- and 55-centimeter bags are meant for travelling. It also comes in a variety of colors such as pink, red, brown, baby blue, navy blue, olive green, orange, white, black, and golden tan. The bag has a lock and keys. The keys are enclosed in a leather lanyard known as a clochette, carried by looping through a handle. The bag is locked by closing the top flaps over buckle loops, wrapping the buckle straps, or closing the lock on the front hardware. Locks and keys are number-coded. Earlier locks only bore one number on the bottom of the lock. In more recent years, Hermès has added a second number under the Hermes stamp of the lock. These numbers for locks can be the same for hundreds of locks as they are batch numbers in which the locks were made. The metallic hardware (the lock, keys, buckle hardware, and base studs) are plated with gold or palladium to prevent tarnishing. Hardware is updated regularly to maintain the top quality available in the industry at time of production. The metal lock may be covered with leather as a custom option.Diamonds are another custom addition. Hermès offers a “spa treatment” – a reconditioning for overly used bags. A “Shooting Star” Birkin has a stamp shaped like a shooting star adjacent to the “Hermès, Paris Made in France” stamp; this is in gold or silver to match the hardware and embossing. Rarely, the stamp is blind or colorless, if the bag is made of one or two leathers on which Hermès does not use metallic stamping. 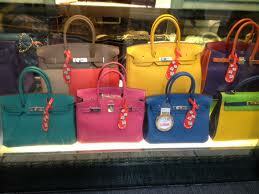 Birkins or other Hermès bags can sometimes be made by independent craftsmen for “personal use” once a year. Every bag bears the stamp of the craftsperson who made the bag. These identifications vary widely but are not different for every bag made. More than one craftsman’s stamp on a bag is not uncommon because the stamp is not a serial reference. Fonts and stamping orders may vary depending on the craftsman. Visible difference between the Hermes Birkin and Hermès Kelly handbag. The easiest way to identify the difference between the handbags is the handles. The single handle handbag is the Kelly, and the Birkin has two handles. Although the Birkin bag is free of logos, it is one of the most recognized bags in the circles of the well-heeled. It is highly coveted and, for several years, was reputed for having a waiting list of up to 36 years – the longest wait for any bag in history. As a result of the strong demand, the Birkin bag has a high reselling value in many countries especially Asia. In April 2010, Hermès announced that the waiting list would no longer exist, implying that it is potentially available to all. Now you’re a woman in the know. Categories: Birkin, Real Housewives of Beverly Hills | Tags: @janefinds, Hermes Birkin, Lady Brooks, Lisa Vanderpump Birkin bag, sulia.com, Taylor Armstrong Birkin Bag, Taylor Armstrong Fake Hermes, Taylor Armstrong Hermes Fake, The Birkin Bag, www.baginizer.com | Permalink.